Feadship has embarked on a major rebuild of the 1954 motoryacht Istros, giving this 42-metre superyacht an all-new aluminium superstructure while retaining her elegant original hull. The name Istros – meaning inspiration – was clearly appropriate and the motoryacht set off to enjoy a typically eventful few decades in the Mediterranean. A first attempt at a restoration was started several years ago but stalled due to a lack of funds. 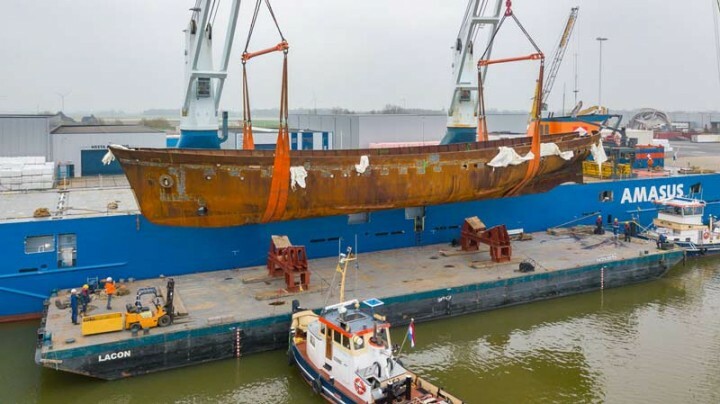 Since then a new owner contacted Feadship to enter into a complete rebuild project, which started in 2018 with the removal of the superstructure and stripping and reconditioning of the hull at a yard in Malta. 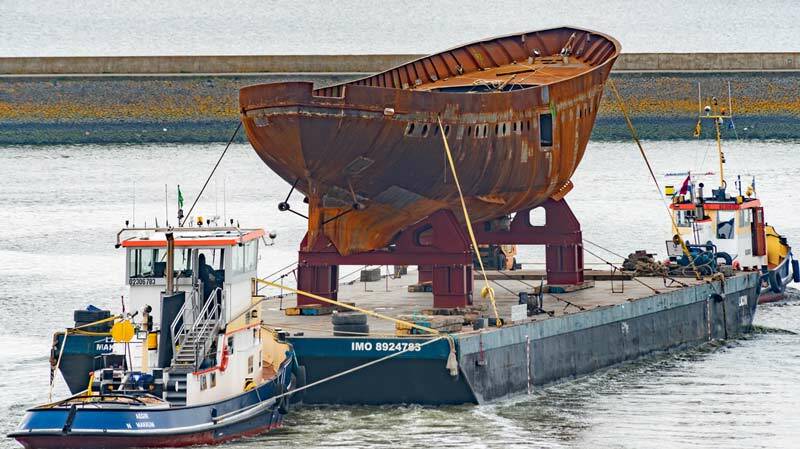 Looking at the images of the hull arriving back in the Netherlands, it might be hard to imagine how Istros can be returned to the glamorous gentlemen’s yacht of yesteryear. 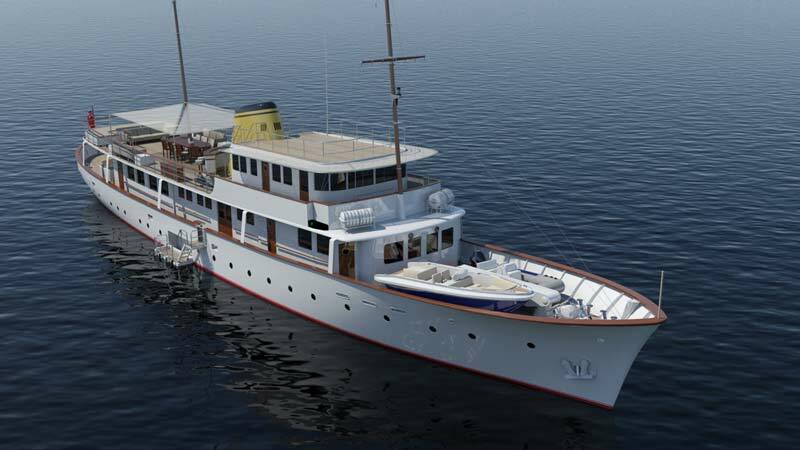 But this is a Feadship rebuild and anything is possible. After the hull has been refitted, a new superstructure will be added in aluminium. A new engine room will be constructed to house twin C18 main engines, a C4.4 diesel generator and a Capstone DC 65 diesel Micro Turbine generator. Developed together with the highly experienced owner, Feadship has designed a family-oriented and child-friendly interior. 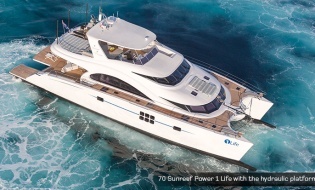 Mixing the contemporary with the classic in a warm, Scandinavian style, the yacht will also be ideal for charter use. The all-new Istros is due to be relaunched before the summer of 2020.